Order Think DSP from Amazon.com. Download Think DSP in PDF. Read Think DSP in HTML. The book and the code are in this GitHub repository. And you can click here to run the code on Binder. 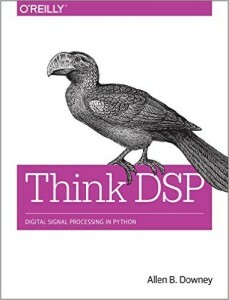 Think DSP is an introduction to Digital Signal Processing in Python. Think DSP is a Free Book. It is available under the Creative Commons Attribution-NonCommercial 3.0 Unported License, which means that you are free to copy, distribute, and modify it, as long as you attribute the work and don’t use it for commercial purposes.